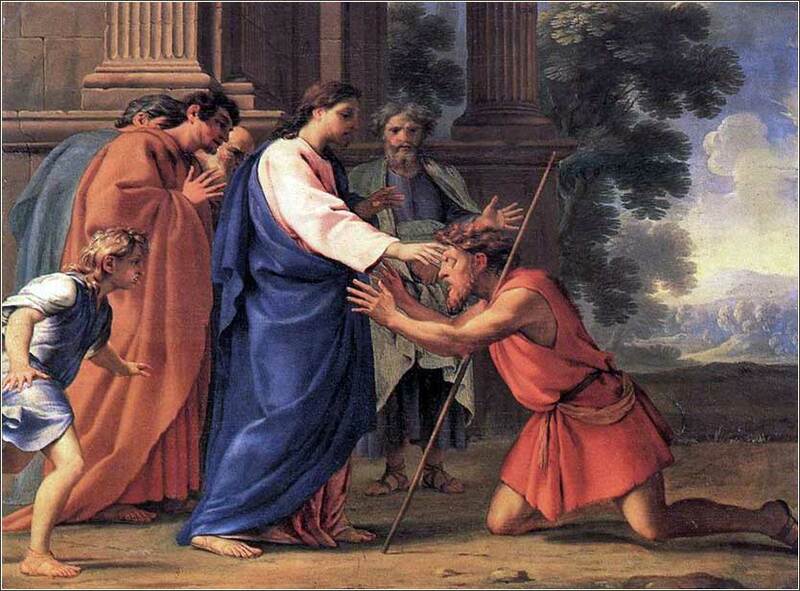 Jesus Heals the Blind Man by Eustache Le Sueur, ca. 1650. 222 people in our community are currently praying with you. 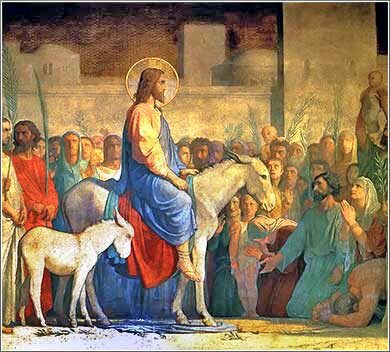 O blessed Christ, my teacher, my savior, my God: You have commanded me to love others as myself. Yet it is so easy to find the faults in others, for I see their outside and compare it against what is inside me. 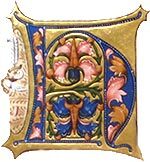 I have inflated my goodness and importance in my own mind, but have judged others for the smallest shortcoming, and I am filled by foolish pride. I vow by this prayer that I will strive to follow your Word, to forgive all who have injured me, to turn loose the petty resentments and grudges that poison the world with hatred, and to overlook the faults of others; and I ask to be pardoned wherever I have done injury to my brothers and sisters, who are your beloved children even though they, like me, are sinners. And I vow, when I fall short of your commandment, to seek out and confess my wrongdoing. Forgive me, Holy Christ, and help me to ever amend my life; this I pray, with faith in the grace you have promised to the penitent sinner. I bind myself to you this day, oh Christ, in your truth and in your sacrifice. I give to you my anxiety and my fear, my depression and my doubt, for you have promised to take them if we only ask; and I take upon myself your burden, for it is light and your way is gentle. May I keep this in my heart and mind all this day. Do not be led away by diverse and strange teachings, for it is good for the heart to be strengthened by grace, not by foods, which have not benefited those devoted to them. When you are young, what is fresh and new seems like such a great thing. But then slowly, as you get along in life, you notice that things just change. They don't always change because they are better, or involve a new technology - they just change. When I was a young teenager, all the girls wore shoes that are now called “ballet flats”. They went out of fashion in the 1960s. Then, around 2010 -- almost 50 years later -- the exact same shoes suddenly became popular again! The Soviet Union is now once again Russia and no longer our arch-enemy. A railroad bridge in New York City has been turned into a park. Physics professors who once assured us that the shortest distance between two points was a straight line — it is science, it is factual! — have now changed their mind. But Christ does not change. He is the single most absolute factor in the human universe. e never changes His character. He is entirely good. Voltaire said, “In a hundred years, the name of Christ will be forever forgotten.” But the building in which he wrote those words is now a Bible warehouse. And if you ask someone in the street who Voltaire was, and who Jesus was, which one are they more likely to have heard of? His critics die and slip into the shadows, but His name lives on without diminishing, the perfect example of goodness. His power never changes. He is the Son of God, immortal and all-powerful, who alone has the ability to save our souls from death. His power to redeem us, to justify us before God and bring us into eternal life, is exactly the same in 2015 as it was in 1015. Men kneel before a cross representing His sacrifice to save us, in tears and humility, and will continue to do so until the end of the world. And finally, His purpose never changes. He came to earth, humbling himself to be born of a human woman, for one reason only: to teach us, to suffer and die, and to defeat the death we inflicted upon Him, in order that He might show us the path to God and live forever. His purpose continued even after He died, for we received His spirit that will be with us until the Final Day. Mountains may tumble, Gibralter may crumble, governments and science change: but Christ's total commitment to our salvation is an absolute rock that we can count on. No matter what might happen, to us or the world around us, there is one thing we can absolutely count on: Jesus Christ the Righteous, our Savior. Philippians 2:5-7: Christ Jesus, though he was in the form of God, did not count equality with God a thing to be grasped, but emptied himself, by taking the form of a servant, being born in the likeness of men. And being found in human form, he humbled himself by becoming obedient to the point of death, even death on a cross.